Do you know how much it costs YOU to put a quilt on your quilting machine? No, I am not talking about how much you are charging your customer to quilt the quilt. I am asking, do you know what the how much the business expenses are for your machine quilting business and how much of what you charge – per quilt – cover those expenses. Fabrics – not related to a specific project, but fabrics to be used in your business, such as samples, etc. Fabrics for personal use should not be in this category. Meals – you are out delivering quilts or at a quilt related meeting, you get hungry and buy a sandwich or lunch. Copies – if you have a copier and use it for business forms, the supplies needed for it is a business expense. Small Equipment – usually one time fees, such as a digital camera, new gadget for your machine, new fax machine or equipment that is too inexpensive to depreciate. 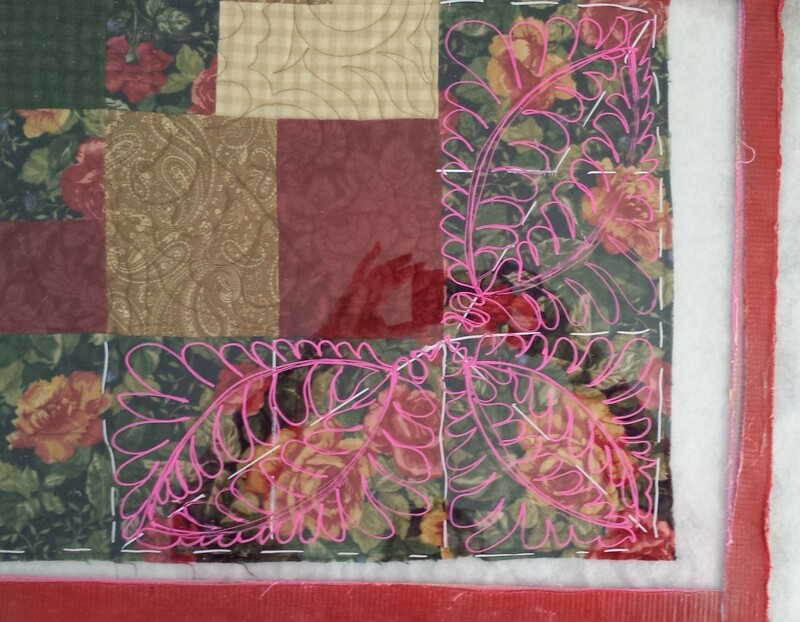 Studio and quilting supplies – costs directly related to having a Longarm quilting business; needles, marking utensils, rotary blades, pins, etc. Office Supplies – computer paper, printer cartridges, paper clips, pens, etc. Telephone – you may have a dedicated phone line or cell phone for your business. Rent and Utilities – especially if your business is in a retail location or away from your home. Vehicle expenses or Mileage – for example, when you are driving to and from business meetings, guild meetings, delivering quilts, etc., keep track of your mileage in a notebook that you can keep in your vehicle. Some vehicle expenses such as fuel, repairs and vehicle insurance may be included. Talk to your CPA/ Tax Professional about this. Note: I am not including batting, backing fabrics or threads in this expenses list. These items, in my opinion, should be sold separately and are considered inventory and they are accounted for differently. At this time of the year, with everyone working on, and filing their taxes, you may be able to look at last year’s “numbers” and get and good idea of what your business expenses were. If you are a new quilter, just starting your business, you may have to make some assumptions of what your business expenses would be. Here is my challenge to you – keep very careful track of your business expenses for this month. Write EVERY business expense down in a notebook or document it in your accounting system. Even if you think that an expenses may not be a business expense, write it down in a different column, page or space. At the end of the month I want you to total up all these expenses. Each person will have a different amount of business expenses depending on how many quilts they work on and if they are working full time or part time. If you have other business expenses that I haven’t listed, or would like to have a business expense explained a little more, please leave a comment.